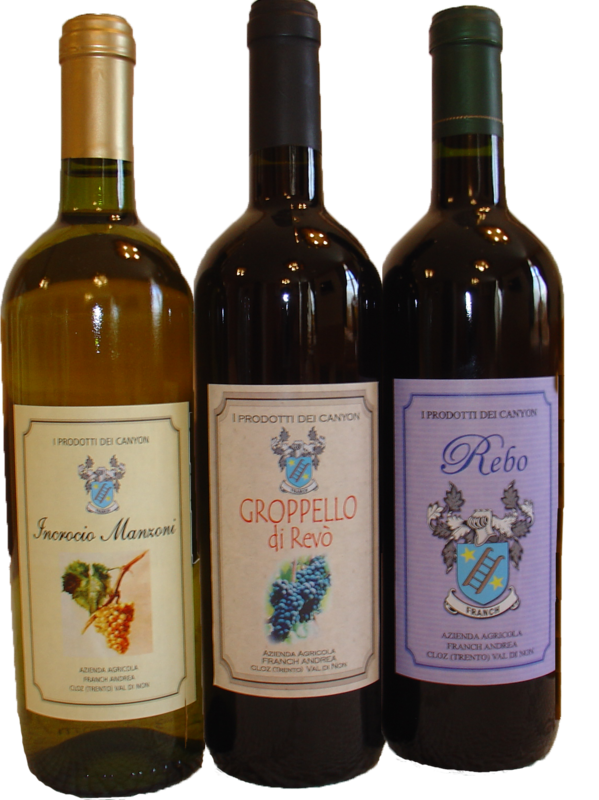 HE GROUND OF REVÒ: an autochthonous wine of the Val di Non (I.G.T.) still cultivated in the Middle Ages, consumed in the boards of the Habsburgs, has come to this day thanks to the passion of a few stubborn farmers. An intense red wine with a strong flavor is excellent, matching the typical dishes of the area. 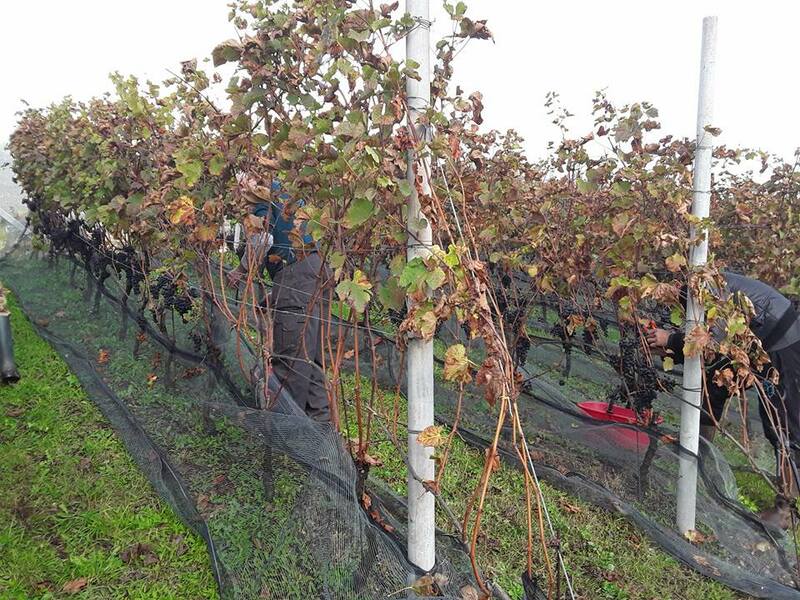 REBO: Trentino native vine obtained from the intersection of Merlot and Teroldego. Wine from the color Ruby red and full flavor. Normally it is harvested towards mid-October, the wine produced is stored in stainless steel barrels and finally aged in oak barrels, in the family cellar obtained from the ancient “vouti”. 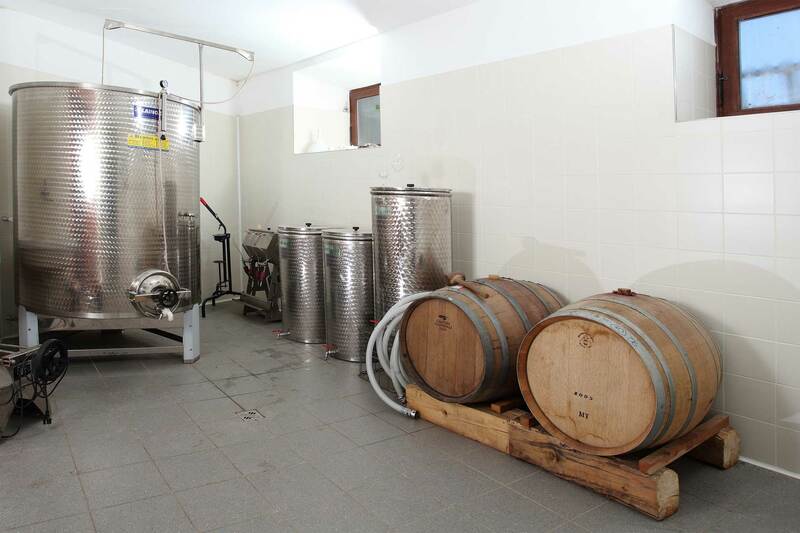 We also produce MELE DISTILLATES Golden, Renetta and ALBICOCCA: the fruit is ground and left to ferment for a few weeks, then it is brought to a distillery of the area and transformed. 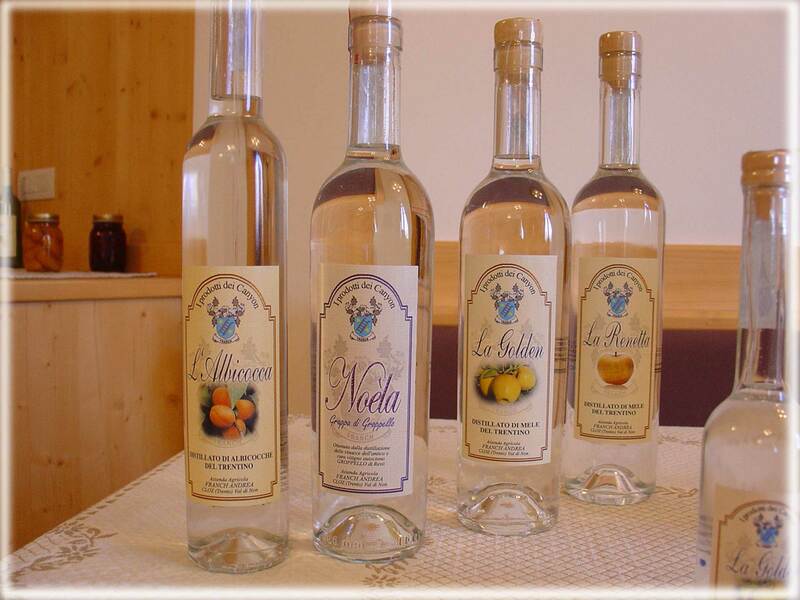 NOELA: Grappa of Groppello obtained from the marc (the name Noela derives from our dialect and means Novella or the name of the torrent flowing under the vineyard). We will be delighted after a guided tour of the vineyard and orchards of the company to offer you a tasting of our products combined with a snack.